When Should I Have Mold Testing Performed? You want to determine if mold is growing in your home. You had any flooding or a water damage event. You have a leak that has been present for more than 24 hours. You smell a moldy odor. Residents of your home experience a long-term medical condition without a known cause. You find unusual stains on furniture or building material. Mold testing can be included in your mold inspection. Mold is a fungus that can be found everywhere, but it will grow more aggressively in moist areas without proper ventilation, or in surfaces that do not dry easily. Modern building materials and methods, such as well insulated homes where outside air does not easily come into the house, allow for mold growth. While some types of fungi may be useful (to make antibiotics, cheeses, beer), others are toxic and potentially harmful. Increased awareness of sicknesses associated with mold and weariness by insurers to insure property that is mold infested has made testing for mold almost a necessity when buying or selling a home. Mold may or may not be visible. When it is, it appears as a surface stain or discoloration, or as a dark growth. At times, a musty smell is present. Mold poses a health hazard when present in large quantities called colonies. Mold spores are divided into three groups: Allergenic: Those that may cause allergic reactions such as wheezing or runny nose; Pathogenic: Those that may cause suppression of the immune system; and Toxic: Those that may lead to more serious health problems. Only through mold testing can a health hazard be ruled out, as species cannot be determined by sight only. 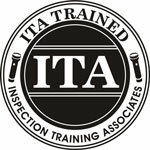 A certified mold inspector follows a set of standards and protocols to assure clients of the quality and comparability of test results. Call today to schedule your mold testing appointment!